Fiber do everything for your body to feel good, but “Taffel” – for you to take them deliciously! 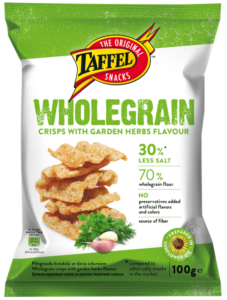 Caring for you we have created Wholegrain snacks which hide fiber and rich flavour in every groove and every edge. 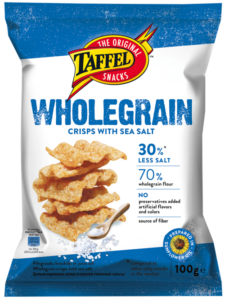 They contain 70% wholegrain flour and are cooked with sunflower oil. You can proudly put them oon the top of your shopping basket without judging yourself!